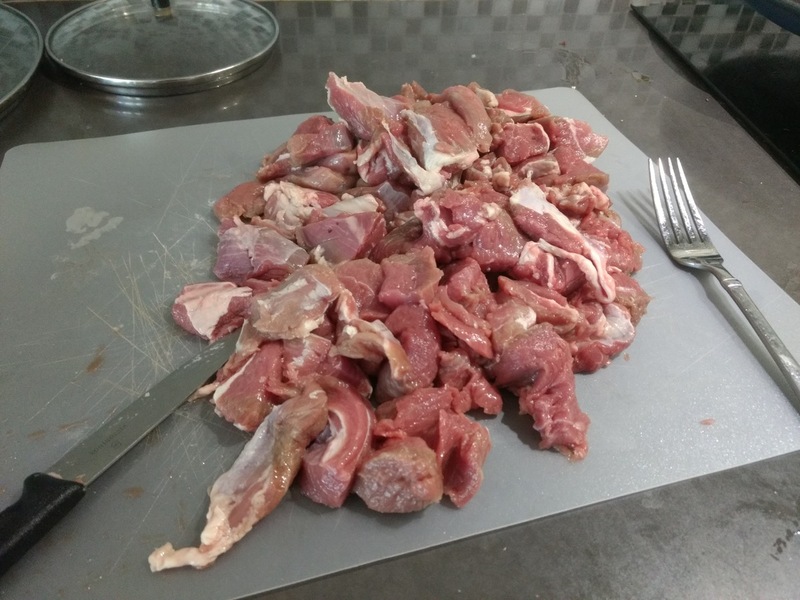 Boneless lamb leg or shoulder, cut into bite sized pieces. Heat a dutch oven over medium-high heat with oil. Once it's shimmering fry the lamb pieces in batches, being sure not to crowd the pan. Once browned, remove to a separate plate. 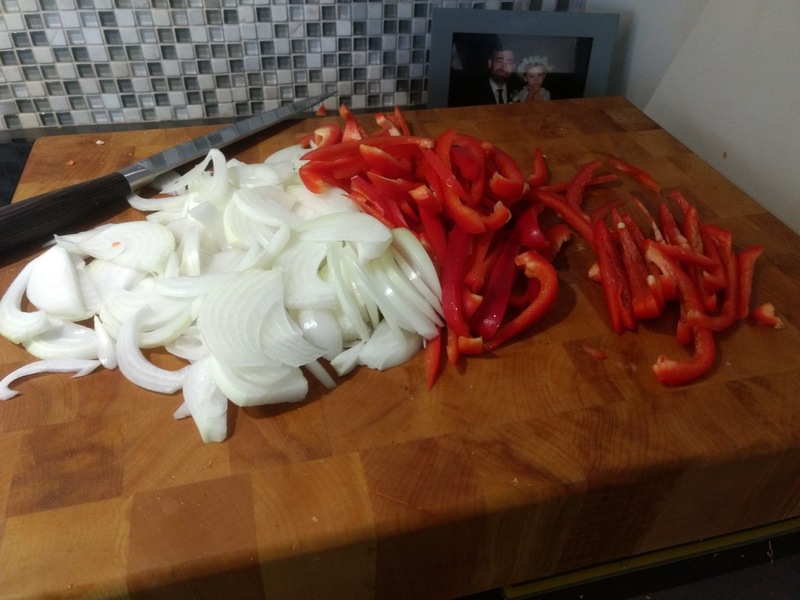 Add a bit more oil, then add the onions and bell peppers. Fry until soft (covering will help it cook faster). Add back the lamb. Add the diced garlic, seranno pepper, cumin seeds, ground cumin, garam masala, and tumeric. Stir really well to coat everything evenly. Cook for about two minutes, then add the cans of diced tomatoes. Stir well, bring to a boil, then reduce the heat to a simmer. Cook with the lid off for 4 hours, stirring it periodically. If it starts to look dry you can put the lid on or add some lamb stock. Keep cooking until the lamb is nice and tender. 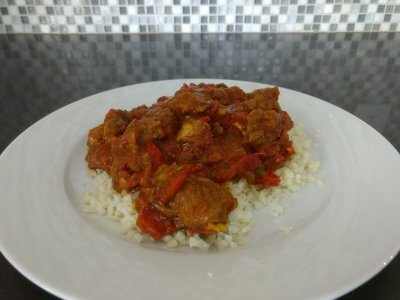 Serve on basmati rice, or cauliflower rice for a low carb option (pictured above).